My parent's recently took a little vacay to Florida and made a pit stop in New Orleans. You'll never guess what dad brought back. 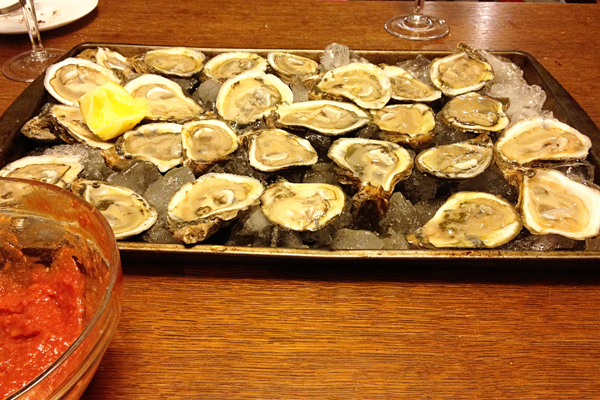 Well, maybe if I had a different title you wouldn't have guessed but anyway, yes, oysters!! 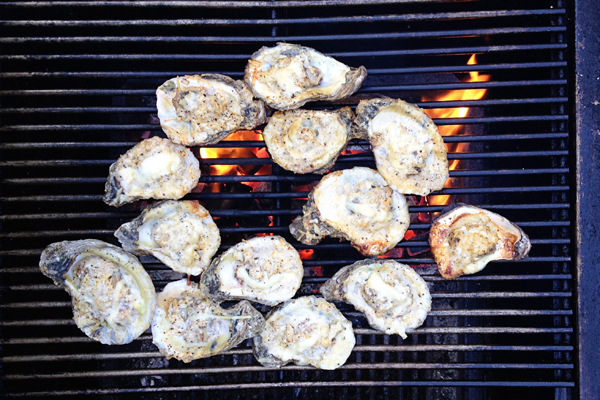 I'm a huge fan of oysters on the half shell, thanks to my dad. 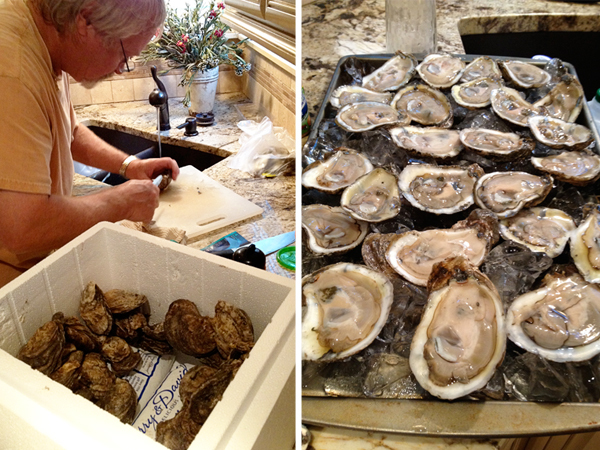 He brought back like 4-5 dozen and shucked them in his kitchen before we all devoured them. All being my dad, the husband and myself. 3 people eating at least 50 raw oysters. 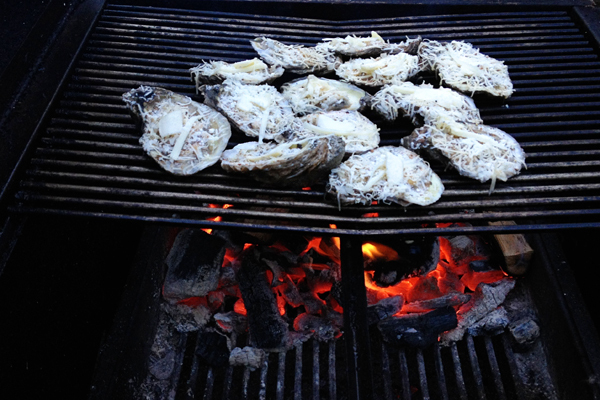 It should also be noted that my dad is a grilling machine so it was no surprise that his grilled oyster creation was one of the most amazing things I've ever eaten. He could seriously go into business with those things alone. Omg amazing. I would seriously drive down there just to have that meal. It was so good. Even had homemade cocktail sauce for them! We would have loved to have you! Oh my yumm! 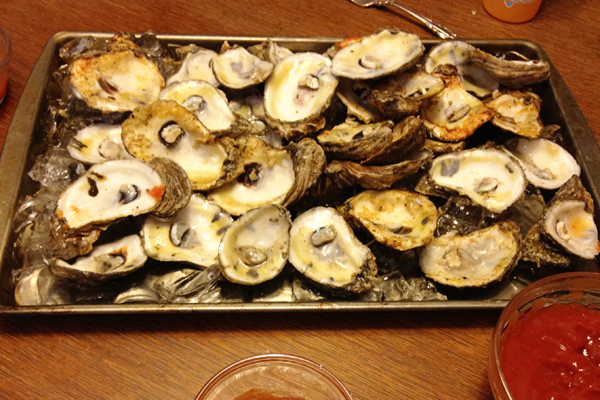 I love oysters! Oh yum, pure heaven! My on-an-island-can-only-have-three-things are iced coffee, tortellini, and oysters. 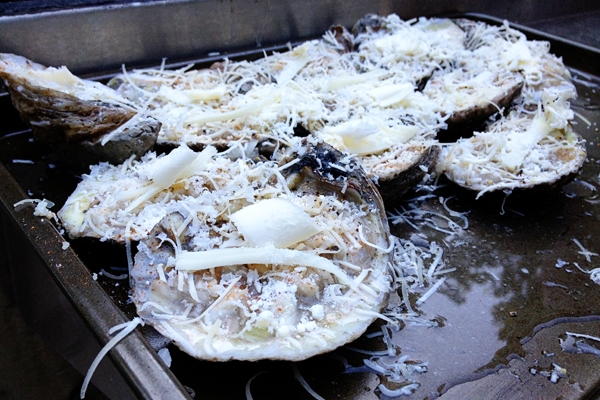 They are phenomenal grilled - jealous! I love your island list. Too funny. And I would have to have iced coffee on my island as well - and donuts. YUM!!!!!!!! That looks awesome. Slightly jealous over here. Double gross from your favorite Aunt, that does NOT eat those things either. You are your Daddy's girl. Ha! What, you don't like the texture?